It’s no secret that we have a soft spot for black cats. 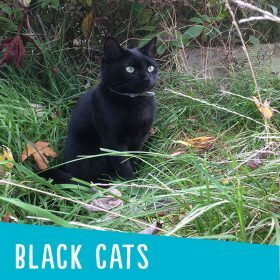 So in order to give them the appropriate credit, we have selected some of our fans’ black cats. 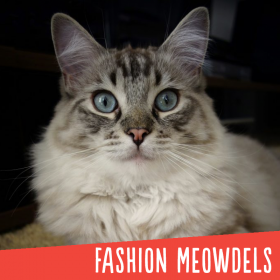 To celebrate Fashion Week, we have curated a collection of some of our fans’ most gorgeous kitties working the camera with typical model poses. Supermodels have nothing on these Meowdels. 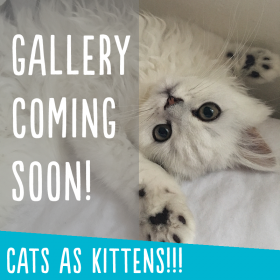 We love kittens and this video is proof that kittens are THE cutest animals on the planet! 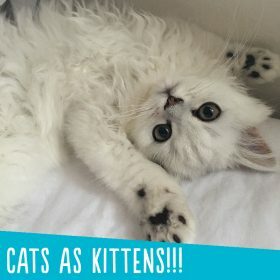 Sit back and enjoy 6 minutes of seriously adorable kitten behaviour all in one handy video. Purrfect! Cats often do hilarious and unexpected things. Watch THIS video to see cats doing something very unusual — acting like dogs! 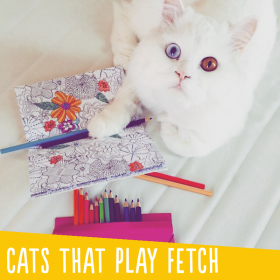 Have you ever watched Simon’s Cat and thought – ‘that’s just like my cat?’ Watch 8 ways Simon’s Cat is just like yours in this collection of super cute real life cats. Cats behaving like dogs! 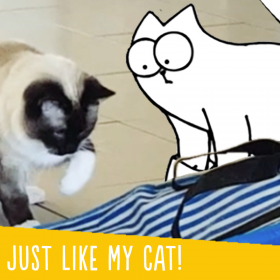 Here are our favourite Simon’s Cat Snap videos showing cats playing fetch! 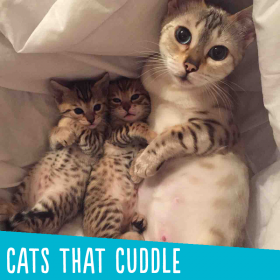 Cats that Cuddle – Is there anything cuter?! Cats and boxes! What’s not to love? What is it with cats and boxes? 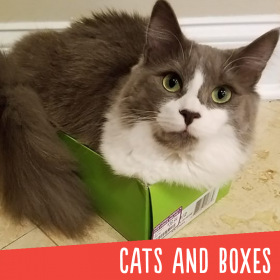 Here are the most pawesome, amewsing and hiss-terical Simon’s Cat Snaps of your cats and their favourite boxes!